Often, the quality of your instructional materials shapes your customer’s first paid experience with your company. Make sure you make the best possible impression, using printing from King. 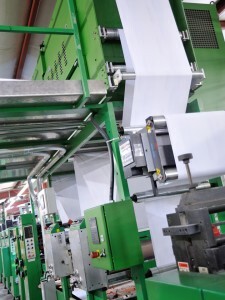 Our offset presses are designed for high volume, fast changeover, and exceptional efficiency. We can offer good pricing on short runs, and even better value for longer runs of materials. Our staff of experienced professionals makes sure that we’re working smart as well as hard on your business, and we routinely recommend adjustments in production or design that can save you money and speed turnaround. We can also go a step further. If you need additional support, our staff is skilled in prepress and setup, and we work with most popular electronic document programs. In addition, we have relationships with skilled professional illustrators and writers who can assist in creating images and copy for your publications. We can handle your print project; that’s how we’ve made our living for more than four decades. But if you need more, King Printing Solutions can also step up and provide an extra level of service that offers you more options for an ideal finished manual. Working with King Printing Solutions is easy. We are happy to provide quotes on your ready-for-press projects, or we can sit down with you and look at a project in process to see where you might be able to save money in printing, plus gather any creative materials you might need to complete the job.